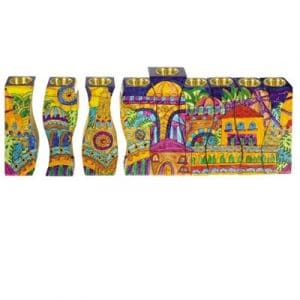 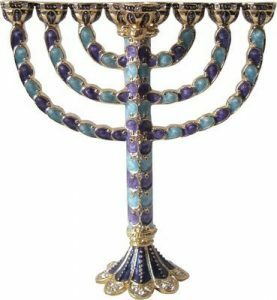 An oil menorah in a unique design. 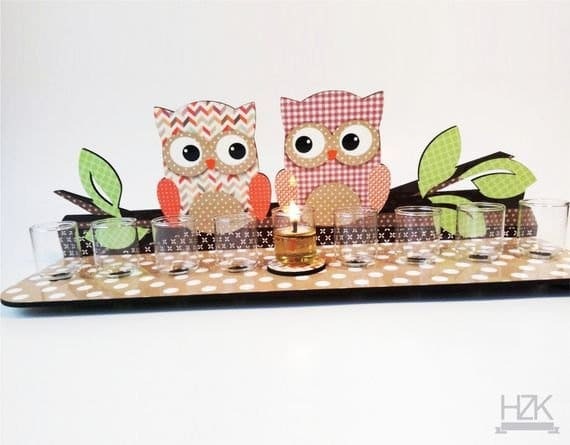 Small glasses for oil candles. 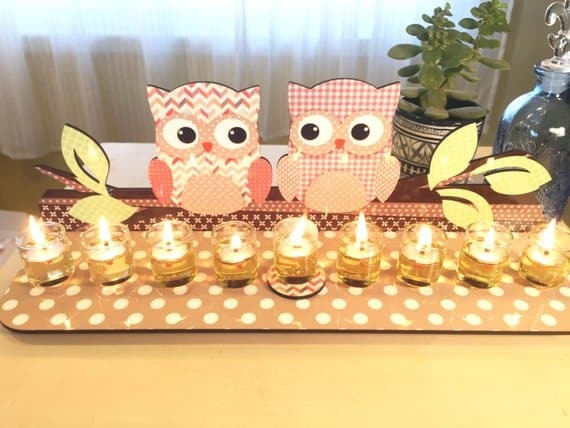 The menorah has a tray with holes and glass cup for oil candle and designed owl on the back. 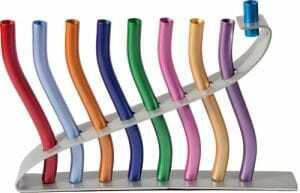 Glass cups, wicks and floats, long matches- all are included. 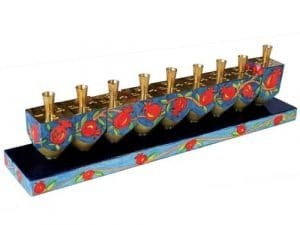 An oil menorah in a unique design. 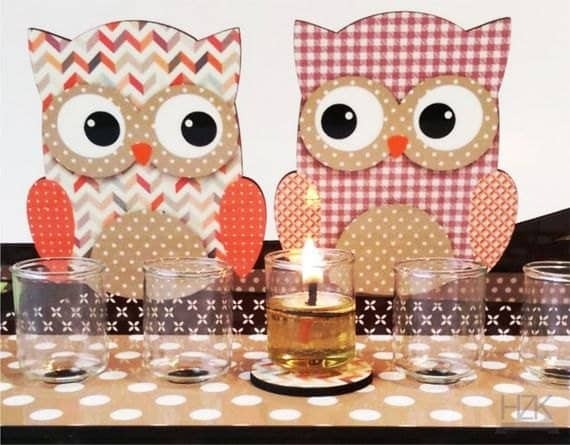 Small glasses for oil candles. 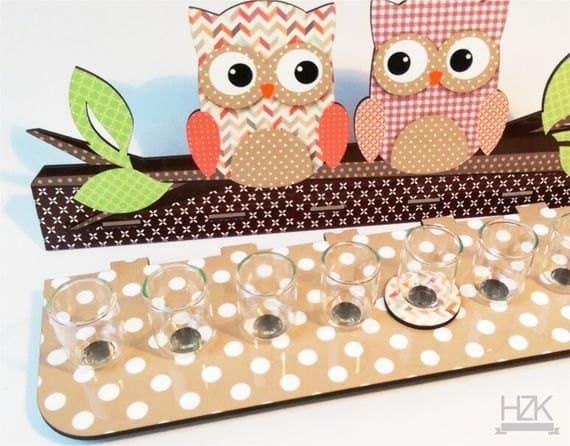 The menorah has a tray with holes and glass cup for oil candle and designed owl on the back. 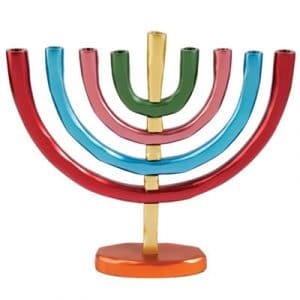 Glass cups, wicks and floats, long matches- all are included.